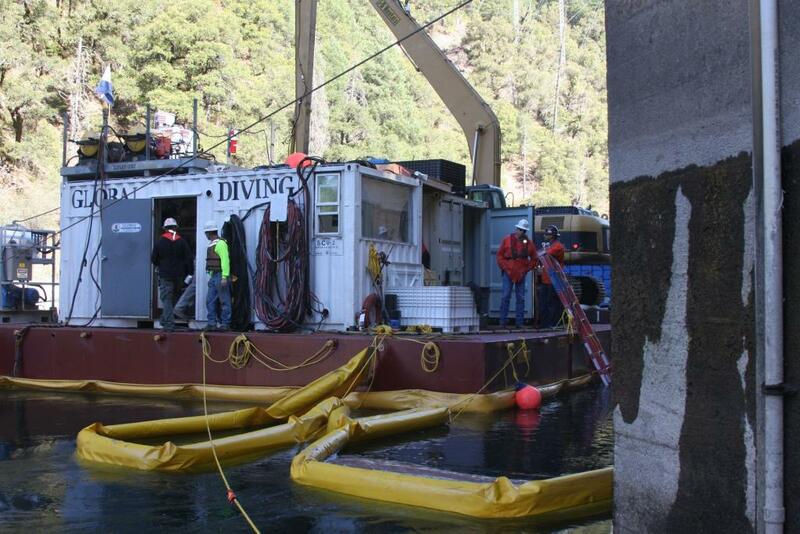 Northern California Dive Bundle - Global Diving & Salvage, Inc. 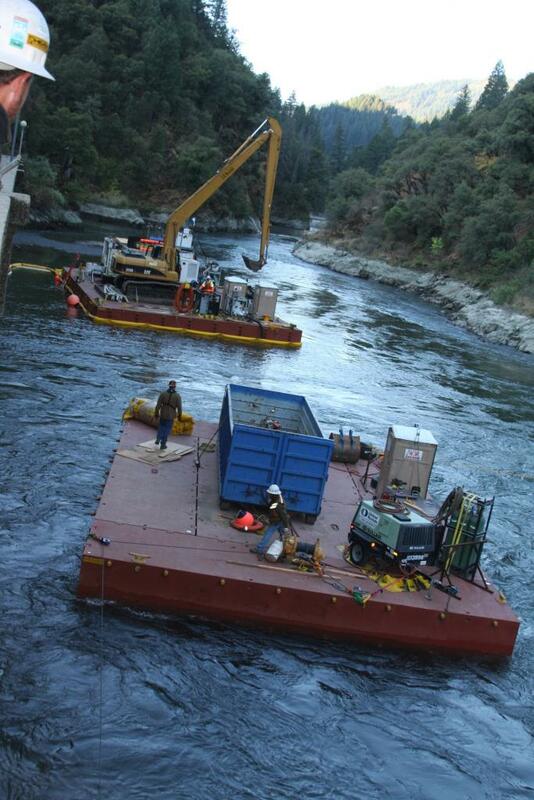 Global provided project management, supervision and marine services for three simultaneous projects 70 miles from each other in a remote area of Northern California, each with unique scopes. The project set demonstrated Global’s expertise at managing complex projects by assembling a command structure to oversee and facilitate all elements of the individual projects. The command structure included: a project superintendent, acting as the single point of contact with the owner and providing continuity between the three job sites, a resident engineer to maintain the submittal roster and address unforeseen issues as they arose, and an administrative coordinator to monitor the submittal and paper flow that ensues with a project of this magnitude. Over 700 dives were performed between the three job sites in water depths ranging from 35 to 220 feet, at altitudes of up to 5,000 feet above sea level. 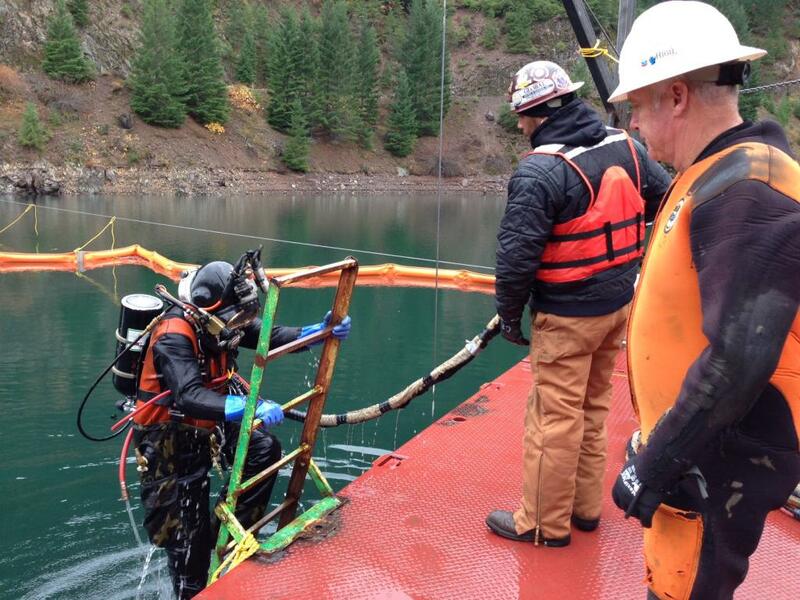 Tasks varied from the replacement of hydraulic dam and powerhouse components, to underwater welding of steel cladding and deteriorated gate stem sections. 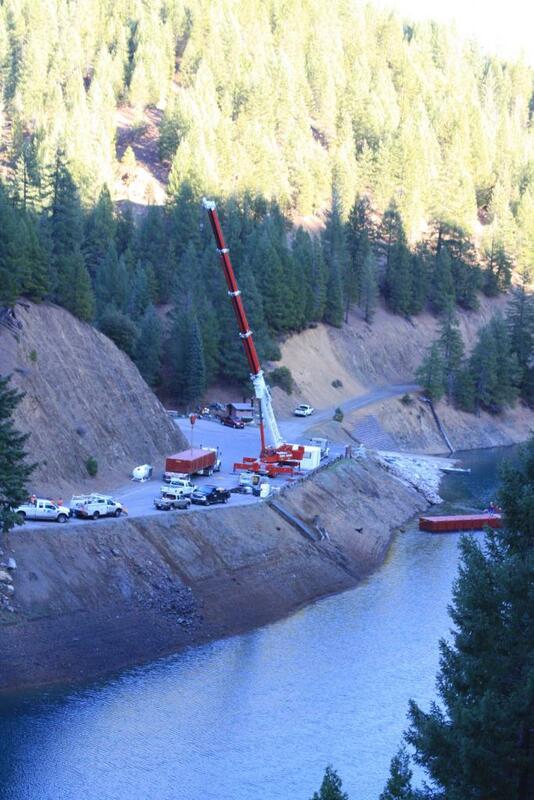 Approximately 3,000 cubic yards of river debris was removed, 50 cubic yards of concrete and grout were placed, and 150,000 pounds of steel were added.